Automatic creation of text notes vsHERO – New opportunity that will improve your game, save time, as well as allow you to better know and understand the opponents with whom you are playing. Presenting the new add-on to the NoteCaddy program. 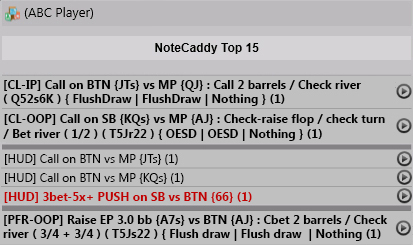 If you noticed that the regulars play differently against you than against other players, then the automatic creation of notes with the help of NoteCaddy Text.Notes will allow you to identify and use these changes in the game against them. We all know the advantages of the use of statistics, given by the HoldemManager2 program. 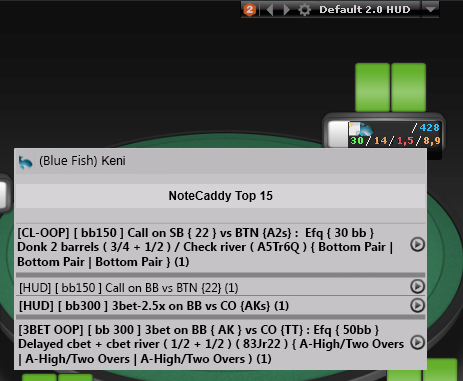 Cbets, folds, raises, three bets - these are some important statistical indicators that help you take correct decisions during your game with the opponents. However, it sometimes happens that the opponent acts in a way that is not covered by the statistical indicators, or differs from expectations. As a result, it is important to write down notes on opponents, it is especially essential in regular games. It is relatively easy to take down notes, what is important is that they are understandable to you, and easily read during the game. 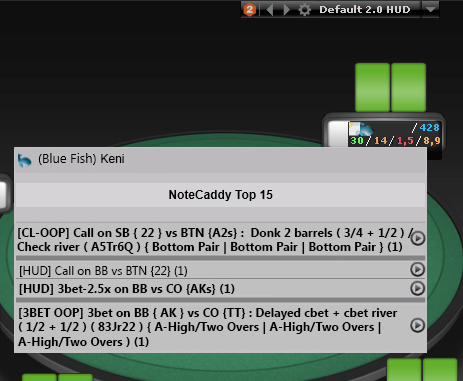 If you play on one, two or even 5 tables it is relatively easy, and you will have time to both take down notes and play with the opponents. However as the number of "tables" increases, or if you have to take simultaneous decisions on different tables, you could be confronted with a situation that some of the information on the opponents with whom you are playing will get lost due to the existence of a large amount of plays. 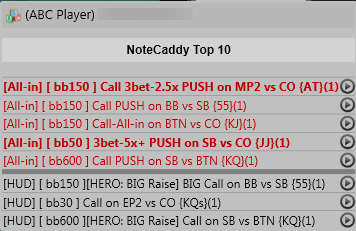 To solve this problem we present NoteCaddy Text.Notes, an add-on to the NoteCaddy program that will allow you to automatically create notes in text form on the players with whom you are playing. - Works without any additional installations.